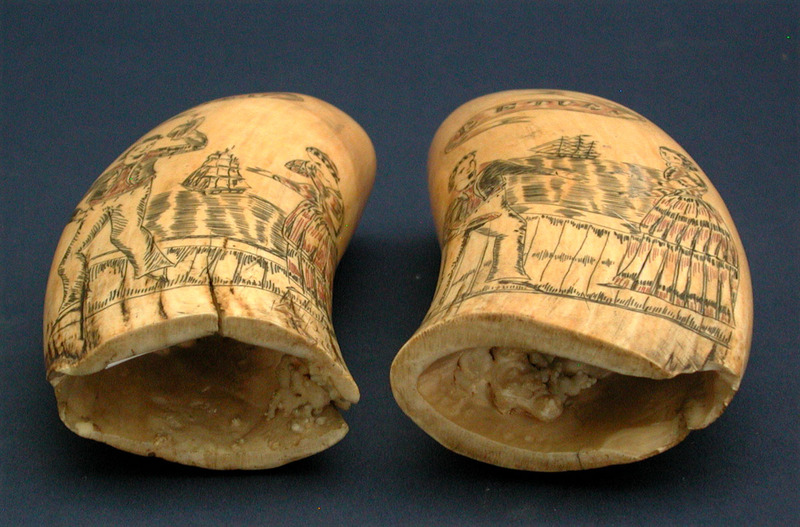 19TH CENTURY TEETH WITH SAILOR FAREWELL & RETURN MOTIFS. One tooth with classic scene depicting a tar, in full sailor's costume, saying farewell to his weeping wife. In the background is his ship and above him is a banner marked "ADIEU". The other tooth with the same sailor arriving home and reaching out to his waiting wife. His ship is in the background and above him is another banner marked "RETURN". All the engraved work boldly executed and polychrome colored throughout. The teeth are of a nice large size measuring 6 1/2" h. x 2 3/4" w. Excellent condition and each tooth has acquired a very desirable age yellow throughout. I'm quite sure they are by the same hand as illustrated in Stuart Frank's book "Ingenious Contrivances Curiously Carved" page 106, figures 72a & 72b. 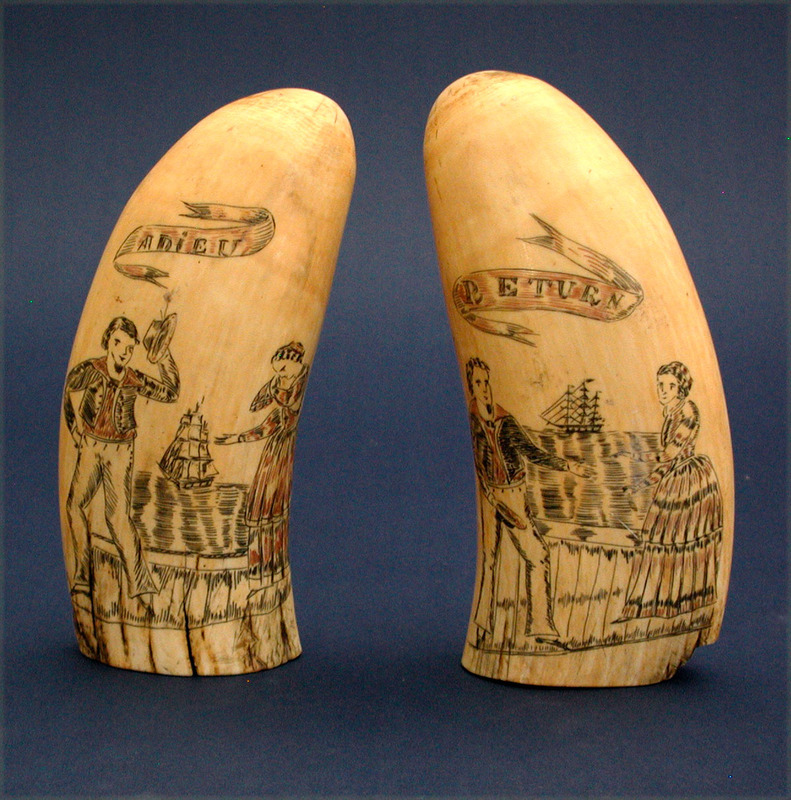 Overall a lovely and excellent pair of scrimshaw teeth. Circa 1840.